Bookends and Beginnings, 1712 Sherman Ave. The bookstore is one of several Evanston businesses that could close if a proposed high-rise complex is approved. Whenever Communication senior Orli Spierer moves to a new city, she said she always seeks out small, independent bookstores. 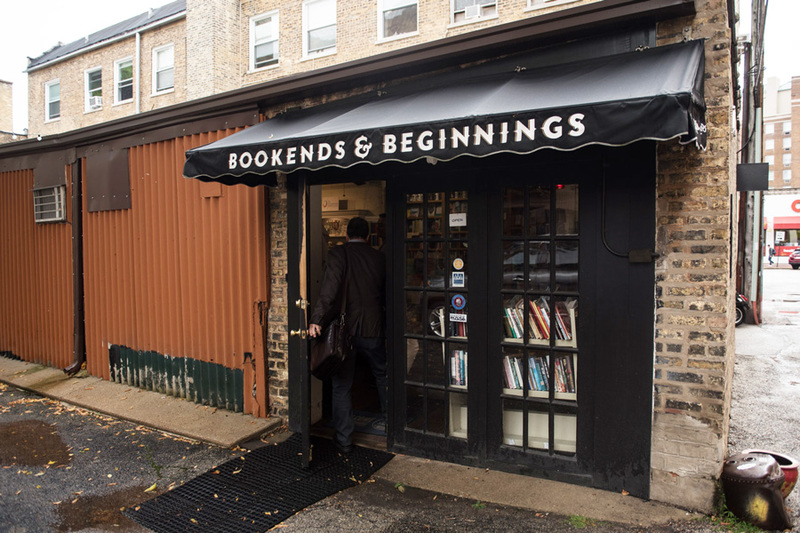 In Evanston, her bookstore of choice is Bookends and Beginnings, Spierer said. So when she heard about a proposed 37-story development that would demolish the store and several other small businesses, she took action. Spierer joined a group of more than 1,100 Northwestern students and community members who signed an online petition protesting the building’s development. The petition calls on the city to “Stop the Tower in Evanston” and will eventually be delivered to City Council. The proposed building would bring nonprofit Northlight Theatre back to Evanston after it moved to Skokie in 1998, and would also include a hotel, a restaurant, residential units and parking. At 395 feet, the development would be the tallest building in Evanston if current plans are approved. However, its proposed location on Sherman Avenue would close local businesses including Bookends and Beginnings, Alley Gallery and Saville Flowers. The building is still an “early-stage concept,” Patrick O’Connor, a principal at Farpoint Development, told The Daily earlier this month. If the city approves the project, O’Connor said his firm would work on a “one-by-one” basis with affected businesses to discuss possible relocation. Nina Barrett, co-owner of Bookends and Beginnings, said the city should stop trying to develop “newer, shinier” spaces like the tower that would be less affordable for small businesses. “People are really starting to realize that what gives a heart and a soul to downtown Evanston are these small, human-scale businesses … that make you feel that you’re in a real place, not a manufactured, mass-produced mall space,” she said. Weinberg sophomore Amos Pomp, whose uncle works at Alley Gallery, said destroying the current businesses would mean losing a lot of “emotional connections” and the “community feel” of the city. Pomp said an evolving downtown isn’t necessarily a problem, but the current proposal seems counterproductive. The Sherman Avenue area is already home to “arts-oriented” shops, he said, so replacing locally-owned businesses with a theater company would not make sense. “It seems like people are hoping that Evanston can continue to develop in ways that do bring in businesses like the Northlight Theatre, but in ways that don’t make it look like a giant city,” Pomp said. City manager Wally Bobkiewicz said the proposed project is still in its initial stages, and that no plans have been officially submitted to the city. He said he expects to see a “rigorous” public debate before any final decision is reached.